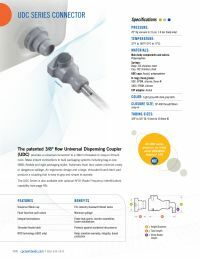 Colder 2355400 UDC Thread Seal is designed to fit the Colder 97400 & 9462000 UDC Bag Closures. This gasket is made from durable EPDM. This gasket is suitable for dispensing liquids, condiments or other food-based material. Please confirm the correct gasket material before purchase.